Dubrovytsia (Ukrainian: Дубровиця, Polish: Dąbrowica, Russian: Дубровица, Yiddish: דומברוביצא‎) is a town in Rivne Oblast, Ukraine. 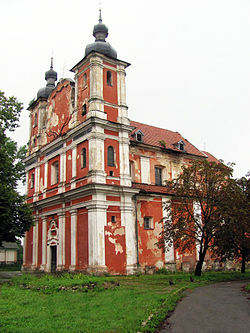 It is administrative center of Dubrovytsia Raion, and is the site of the now ruined Jewish shtetl of Dombrovitza. In 2001, 9,644 people lived there.